A Sleepy Hollow High School student does homework on a laptop funded by Kids’ Club. 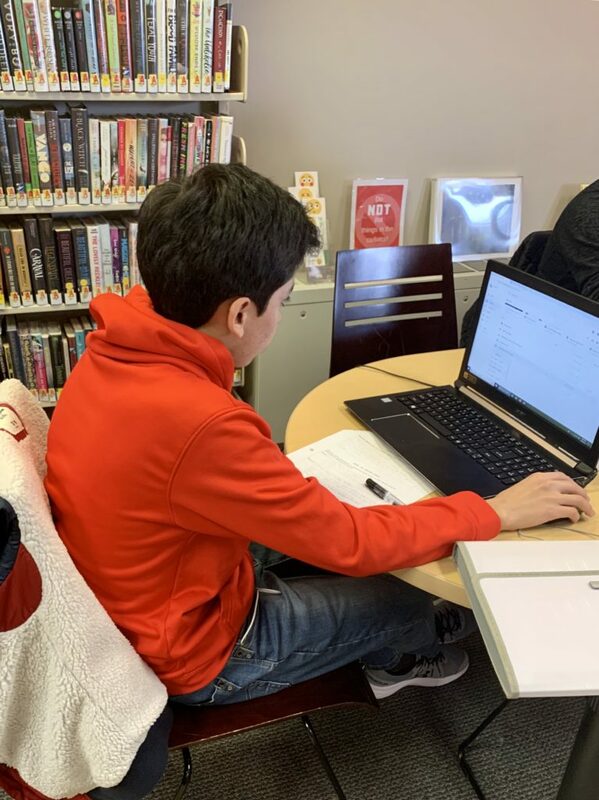 Through support of the “Warner is Wired for Learning” initiative, this year Kids’ Club assisted with the purchase of 5 Acer laptops, 5 mouse controls and Microsoft Office software for the library’s Teen Area. This support enables children who may not have such devices at home to use them at the library, thereby allowing underserved children to compete on a more level playing field with more affluent classmates.